April is World Autism Awareness Month. 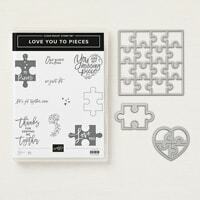 The puzzle piece symbolizes the complexity of the autism spectrum, while the colors demonstrate the diversity of families affected by this condition. 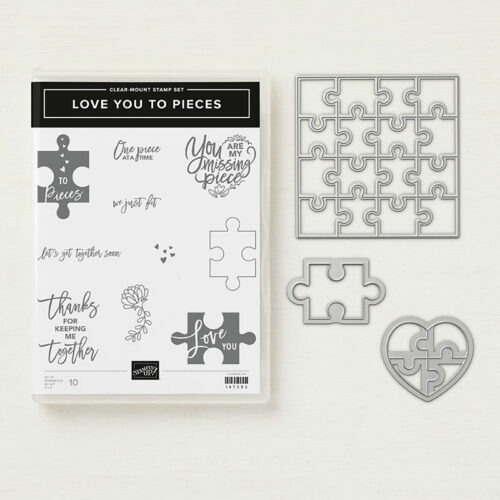 The “Love You To Pieces” stamp set and coordinating Puzzle Pieces Thinlits Dies are the perfect means for the crafter to acknowledge and support those families. 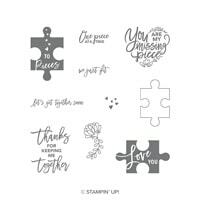 Here are some cards I made earlier this year, as this bundle is also great for Valentine’s Day cards. 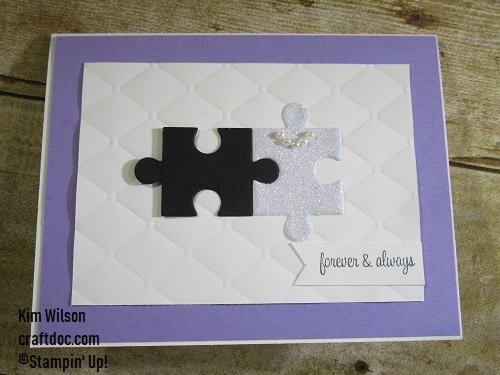 And here’s a fun wedding card. 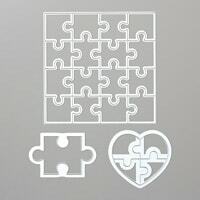 I hope you’ll take time this month to support autism awareness and research. I’d love to hear your story and suggestions.